Visiting India: Should you go North or South? - FBI Travel - Holiday Tailored holidays - luxury travel - holiday packages - club med - cruises. At FBI Travel, we’ve worked hard to build comprehensive industry relationships around the globe that arm us with expertise, flexibility and control. With a tour of India, you can visit the Taj Mahal and so much more. India is an energetic combination of natural wonders and cultural intrigue. A country to be experienced: seen with the heart and understood with the soul. It's a country of exciting contrasts, with the North known for its hustle and bustle, yet chaotic mesmerising streets, its high mountain cities at the roof of the world, the Himalayas and the majestic Royal Bengal Tiger. While the South is filled with quiet backwaters located tantalisingly close to sandy beaches of the Arabian Sea and relaxing beach-front villas. Ancient forts, a myriad of temples, hill-station tea plantations and palm-fringed beaches combine to captivate and amaze. Of course, India is a vast country, spreading over 3 million square kilometres. Many holidaymakers plan their trip around either the North or South to get the most of their trip. However, with so much to take in across the length and breadth of this fascinating country, just where do you begin? Whether you have time to take in the whole country at your leisure, or want to see as much of India as you can in a short holiday - here's what to expect whether you go north or south. Fast-paced, loud and colourful - the North is truly the melting pot it's so often described to be. Pick up local cuisine from street-food vendors, market stalls or five-star restaurants as you travel. Hear multiple languages used within a single city, take a tuk-tuk ride through jam-packed streets and drink chai with the locals as you explore this vibrant country. The Golden Triangle of Delhi, Agra and Jaipur is a popular route, and it's easy to add a number of extra destinations into your adventure using this as a starting point. As you travel across the North, you'll encounter a blend of cultures that together form a long and fascinating history. Rajasthan, a state to the west, provides a glimpse of the India of old, where maharajas ruled and battles raged. Here, architecture blends with the scenery in beautifully carved hues of red, orange and yellow. Get lost in the lanes of one of the world's largest forts in Jaisalmer, or join a camel trek into the Thar desert and stay overnight under the Asian stars. Stop off in Jaipur for the pink city's famous forts and palace for a chance to learn more about the region's history. Meanwhile the blue city of Jodhpur provides an unexpected splash of colour, and the chance to tour the Mehrangarh Fort - still looked after by the Jodhpur royal family. Ranthambore National Park, also in Rajasthan, is home to elephants and tigers. Take a safari and stay in a traditional lodge for the full experience and a different kind of adventure. 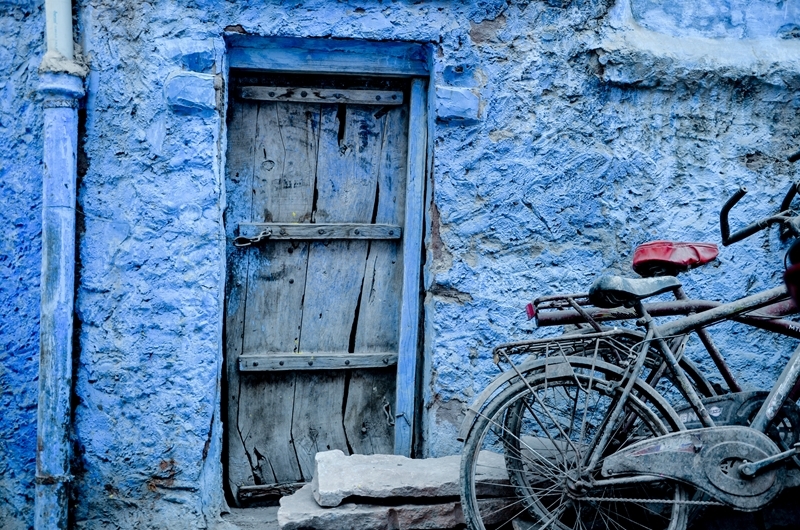 Jodhpur's blue city provides a change of scenery alongside more fascinating history. The Golden Temple at Amritsar is a striking change in architecture, glistening over the water and attracting hundreds of visitors. It's a place of religion for Sikhs, but open to everyone as a symbol of brotherhood and equality. No mention of India would be complete without the world-famous Taj Mahal, one of the Seven Wonders of the World, situated in the small town of Agra. The final resting place of Mumtaz Mahal, wife of Emperor Shah Jahan, the exquisite design is set in manicured gardens next to the river bank. Sunrise is well-worth the effort, and provides the best chance of a tourist-free photo. Getting away from the crowds, Rishikesh is the yoga paradise of the North, made famous by the Beatles' visit. Filled with ashrams and temples, Rishikesh is on the banks of the River Ganges and in the foothills of the Himalayas. Here the water flows crystal clear and icy cold. Spend a few days practising yoga and meditation, and join the evening river-front ceremony lead by a local guru. From there, follow the Ganges to Varanasi, witnessing the Aarti ceremony on the banks of the holy river. The hill station of Darjeeling brings a change of pace and cooler climate. Known for its tea plantations, Buddhist monasteries and steam railway, its a world away from other parts of India. Enjoy the views while sipping your freshly made tea - an exclusive blend unique to the region with a distinctive and delicate flavour. 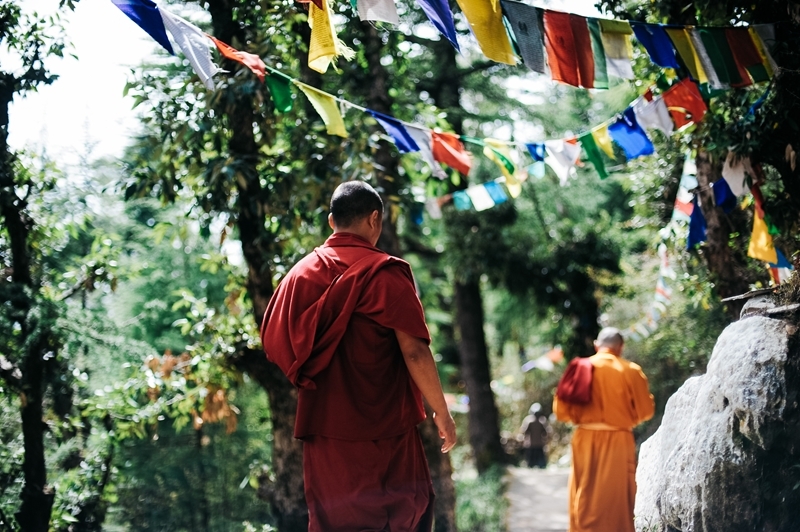 Visit Darjeeling to explore Buddhist monasteries and try the famous blend of tea. The sprawling cities of New Delhi and Mumbai are the main points of entry, and provide plenty more history, as well as an opportunity to observe what daily life is really like for thousands of local residents. In the cosmopolitan culture of Mumbai, either partake in the fast pace of Bollywood's glamour world or visit one of the many slums via a local social enterprise tour company for an eye-opening experience. The cost of your tour goes toward improving education, training and facilities. Step foot in the South of India, and experience a charmingly different pace and way of life. Local men wear the lungi (a sarong-like garment popular across Asia), while women here are known for their colourful and stylish taste in saris. Largely Christian, you'll find as many churches as temples, and English is widely spoken. Goa is famed for golden beaches, warm waters and good surf - perfect for a relaxing holiday. You've a choice of beach resorts including the popular Arambol, Vagator and Palolem. However, there are plenty of lesser-known options if you prefer to get away from the usual tourist experience. The state of Kerala is also popular for the small fishing town of Kochi, the backwaters of Alleppey and the rolling hills with acres of tea plantations and hill stations. Kochi retains a colonial feel, with historic buildings lining the streets and an attractive park area close to the water. Take in an Kathakali performance while you're there - a classical form of dance over 300 years old and with extravagant costumes. Enjoy the scenic backwaters of Kerala on the houseboat. Stop in Alleppey to join a house boat and spend several days gliding peacefully through the quiet backwaters (a maze of lagoons close to the Arabian Sea). Watch locals going about their daily life in small villages or farms. Lazy days also provide plenty of time to taste Southern cuisine, which is a delightful mix of Dutch, Portuguese, British and Jewish influences distinctly more gentle and tropical than Northern dishes. Coconut cream tones down the hot spices, and meals are often served on a banana leaf with plenty of rice. On the East Coast, Pondicherry retains its charming French architecture and heritage which fuses with Tamil culture. Explore the colonial buildings and local coffee stops by bike or foot for a relaxing afternoon. Take the opportunity to try some French cuisine in the evening if you've had your fill of curry. Nearby Chennai is a friendly city, with interesting architecture, museums and temples to visit. Head away from the coast and into the hills to experience yet another side of India. The magical landscape of Hampi (which was once the largest city in the world at the end of the 15th century) is mesmerising, comprised of precariously stacked boulders dotted amongst tropical palms. The whole city has UNESCO status and it's worth stopping at the Virupaksha Temple - towering pristine above the surrounding scenery. While you're exploring away from the coast, check out one of the South's national parks. If nature's on your side you might see leopards, elephants and tigers as well as a whole host of other flora and fauna, such as the blue flower which only blooms every 12 years in the hills of Munnar. 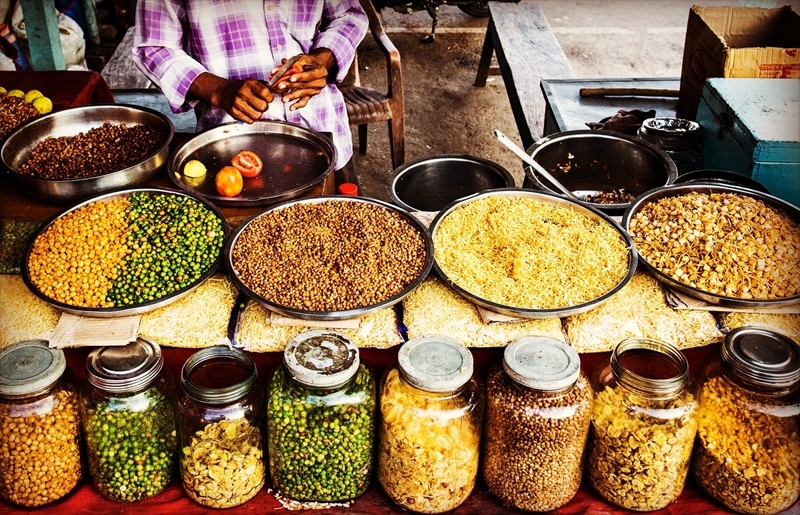 Enjoy tropical, spice-filled Indian cuisine in the South. If you fancy a change of scenery, the South provides many more opportunities to visit tea plantations, coffee plantations and spice plantations. In particular, the cooling hill stations of Munnar and Thekkady provide an opportunity to learn about how tea is processed, as well as the fascinating history of the plantations and how life has changed over the years. Created as holiday resorts for colonial visitors of a bygone era, hill station accommodation options are often quaint and homely, with green and tropical views from the verandah. A few days at a romantic hill station is a popular way to honeymoon in India and we agree it's a relaxing way to unwind. No matter where you choose to visit, it pays to be aware of the monsoon climate. From around March it starts getting hot and humid across the country, signalling the start of a nationwide downpour that usually arrives in July. The monsoon lasts until around September. Prime tourist season is November to February. The Southerly states are typically blessed with the perfect beach weather - blue skies, highs of 30 degrees Celsius and temperate evenings. In contrast, the most northerly parts of the country receive a healthy coating of snow during these months. Places like Rajasthan and Delhi are unlikely to be covered in white stuff, but they will be chilly enough to command a long-sleeved top and possibly a light sweater in the evening. Getting around India is truly part of the adventure. Long-distance trains cover the country, and are an experience in themselves. With tickets available in several classes, you can choose how many people you sit with and whether you want air-conditioning. However, some routes do get booked up in advance, and registering on their online booking site can be time-consuming. Another popular option is to have a private car and driver. It's possible to organise a car before you go, or through some accommodation providers once you arrive. You can largely dictate where you want to visit and the type of accommodation you want to stay in. Make sure you check whether there's air-conditioning if you plan to travel during the warmer months. Make the most out of your trip to India by talking to an FBI Travel Advisor. Our team can help you book everything you need - from flights and accommodation to tours and transport.